The average cost of memory care in Greenville is $4,560 per month. This is lower than the national median of $4,650. Cheaper nearby regions include Englewood with an average starting cost of $4,485. Greenville, Ohio, located in the Greenville metropolitan area of Darke County, has a population of 22,930, with 19.7 percent of the population being seniors who are 65 or older. Some of those seniors may be dealing with Alzheimer’s disease or other forms of dementia and may be in need of memory care. There are four memory care facilities in Greenville, with several more in the surrounding neighborhoods. 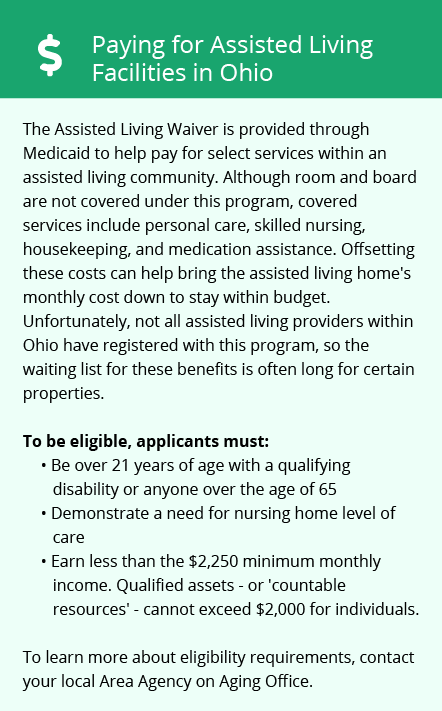 Assisted Living Facilities (ALFs) in Ohio are licensed as Residential Care Facilities (RCFs) and regulated by the Ohio Department of Health. The cost of living in Greenville is below the U.S. national average. On a scale where 100 represents the average, Greenville ranks 80.7. Greenville also ranks below the average for healthcare expenses and transportation, although grocery expenses rank above the U.S. average at 102.4. The grocery expenses may be offset by the lower than average costs for healthcare and transportation. Greenville sees less precipitation than other areas of Ohio. With highs of 84 degrees in July and lows of 18 in January, the area has lower than average rainfalls and snowfalls. Greenville receives 18 inches of rain each year, which is much less than the national average of 39 inches. They also receive 18 inches of snow each year, again, much less than the U.S. average of 26 inches annually. Social security benefits are not taxed in Greenville, Ohio, although pensions are partially taxed and retirement savings account income is fully taxed. Seniors on a tight budget might want to take this moderately tax-friendly status into consideration when planning their memory care budgets. Greenville ranks 38.3 for violent crime and 40.5 for property crime, both considerably higher than the U.S. national averages of 31.1 and 38.1. Although seniors living in a secure ALF might not be affected by these crime rates, concerned families should inquire with facility staff about safety measures in place to protect their residents. Memory Care costs in Greenville start around $4,560 per month on average, while the nationwide average cost of memory care is $4,798 per month. To see a list of free memory care resources in Greenville, please visit our Assisted Living in Ohio page. 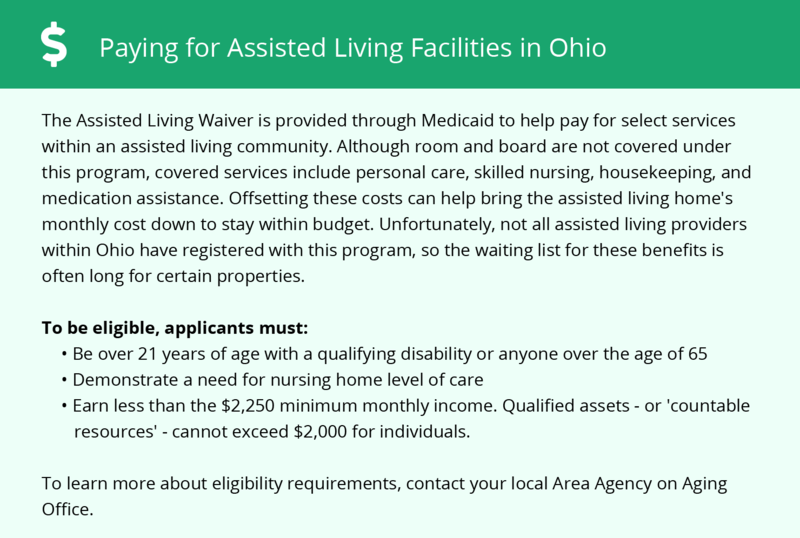 Greenville-area assisted living communities must adhere to the comprehensive set of state laws and regulations that all assisted living communities in Ohio are required to follow. Visit our Memory Care in Ohio page for more information about these laws.